A little insight into what might have caused the 1983 crash in North America. Q*Bert was a smash hit in the arcades, so it was only a matter of time before it headed to home consoles and computers. As you can see in the ad, it came to absolutely everything. 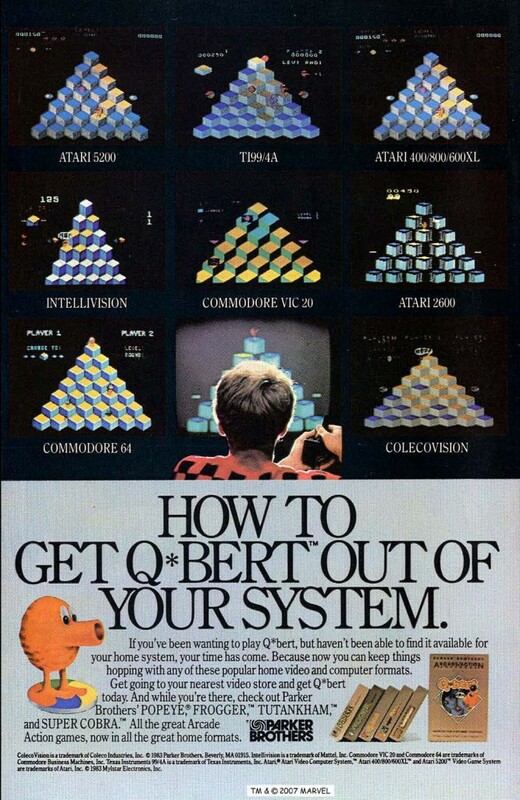 Ad fails to mention that Q*Bert has a mouth like a sailor.